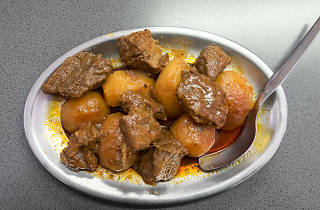 There are more famous stew restaurants: you know, the ones in front of which tour buses park. 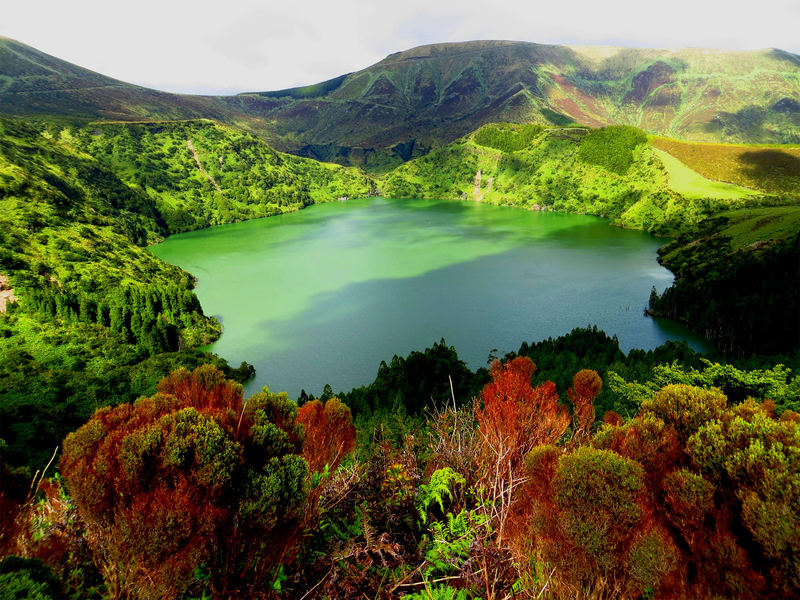 But the inhabitants of Furnas look down on these overcrowded lunch factories where the stew, they say, is not as good as it sounds. 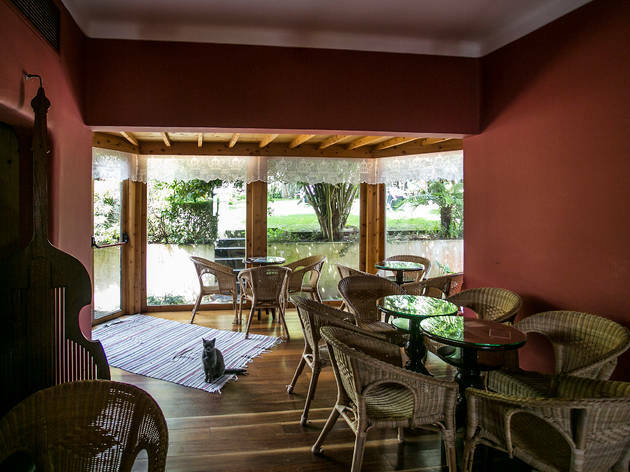 The most recurrent suggestion is to roam around Parque de Campismo and get a table at the Vale das Furnas restaurant. 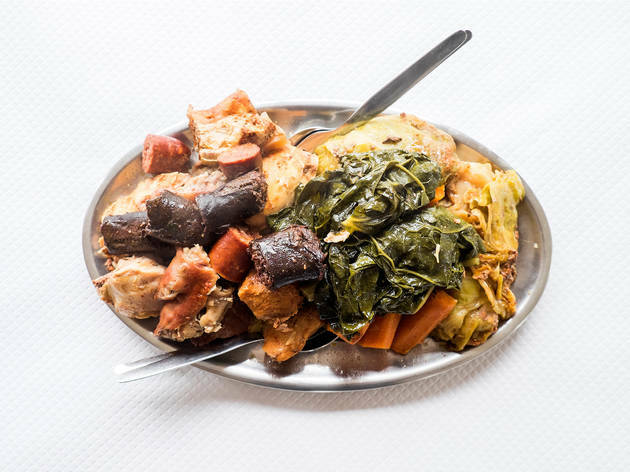 The meat and sausages make all the difference in a stew that’s full of everything that’s good for you: two types of cabbage and carrot, yams, potatoes and rice. And the serving is family-size (€19 for two people, they say). 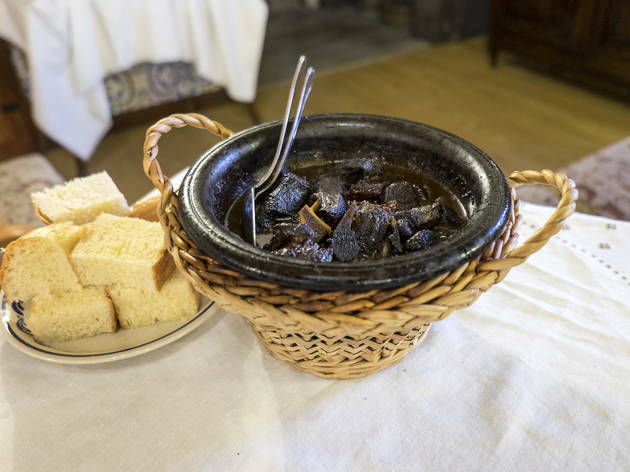 While the pot is hot, this restaurant can also make other dishes, such as bacalhau (codfish), feijoada (a type of bean-based stew) and octopus, but these need to be ordered in advance. There are nine beef varieties to choose from and you can order the cut you prefer for each of them: tenderloin (lombo), sirloin (vazia) or topside (pojadouro). 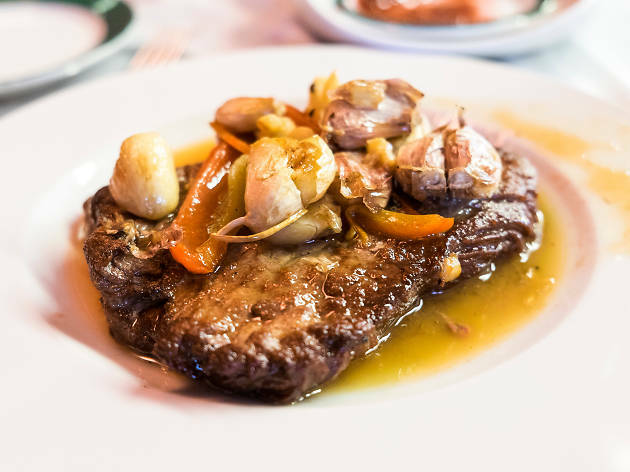 The signature steak is the Bife à Associação. The Bife à Alcides, a chunk of beef fried in a pan with a lot of garlic and pimenta da terra, is an institution in Ponta Delgada, and reason enough to visit this restaurant. It even has John Wayne’s seal of approval. 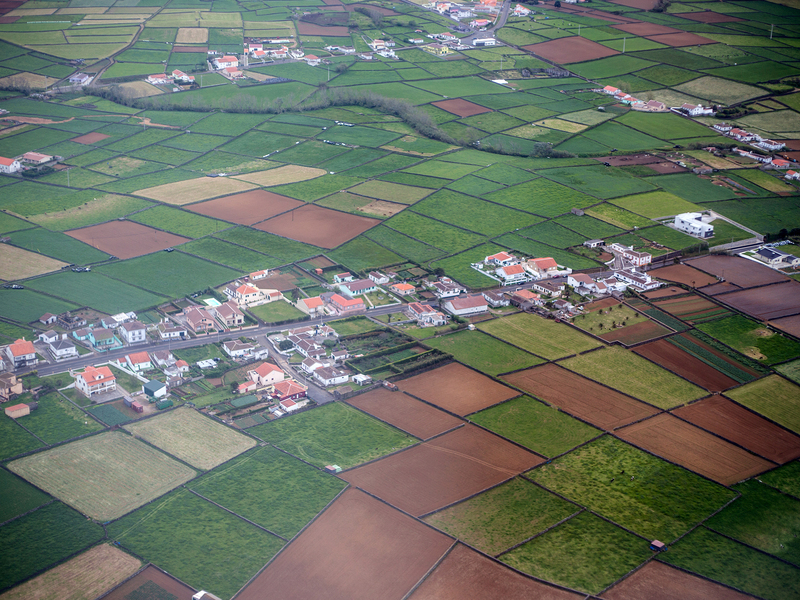 It is Ponta Delgada’s main event - the island’s most popular restaurant. It doesn’t accept reservations so the waiting line is long, but it doesn’t close or stop serving from 11am to 2am, every day of the week (though on Sundays it is only open from 5pm to 1am). But what does Tasca have that is so special? Some will say it is the tuna bifana, others the pineapple cake, the signature “polvo à tasqueiro” (stewed octopus), or one of the many petiscos (attention everyone: they serve limpets), but our heart goes to the tuna steak: a large and succulent chunk of tuna crusted in sesame seeds and complemented by sweet potatoes. 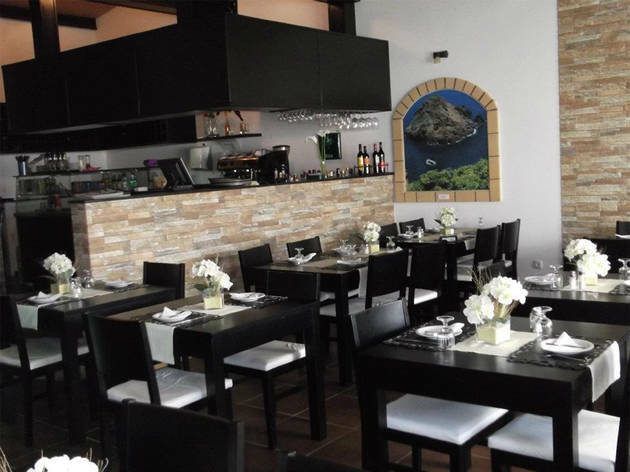 The wine selection is good, with many available by the glass, and the waiters know the English names of all the fish in the Azores. Did you know sardines there are actually horse mackerels? Mané Cigano, the legendary Ponta Delgada restaurant, is a world expert in the art of frying sardines - after all, it is also called Cervejaria Sardinha (Sardine Brewery). Is it possible to trust anything these days? 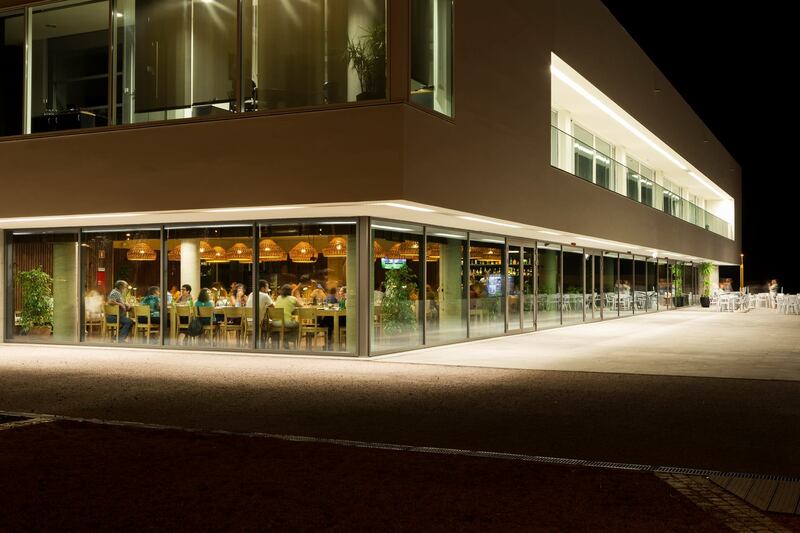 You can trust us when we say Mané Cigano (let’s use its artistic name) is one of the best restaurants in Ponta Delgada. Did we say restaurant? We meant tasca (a traditional Portuguese bistro). But a serious tasca, with an aluminium counter, a hasty (and very efficient) waiter, calendars on the wall, sports pennants, tiled walls, mosaic floors and a menu written by hand on a piece of paper. But despite the good calligraphy, the menu is of little use, for a simple reason: here, people eat fried sardines. 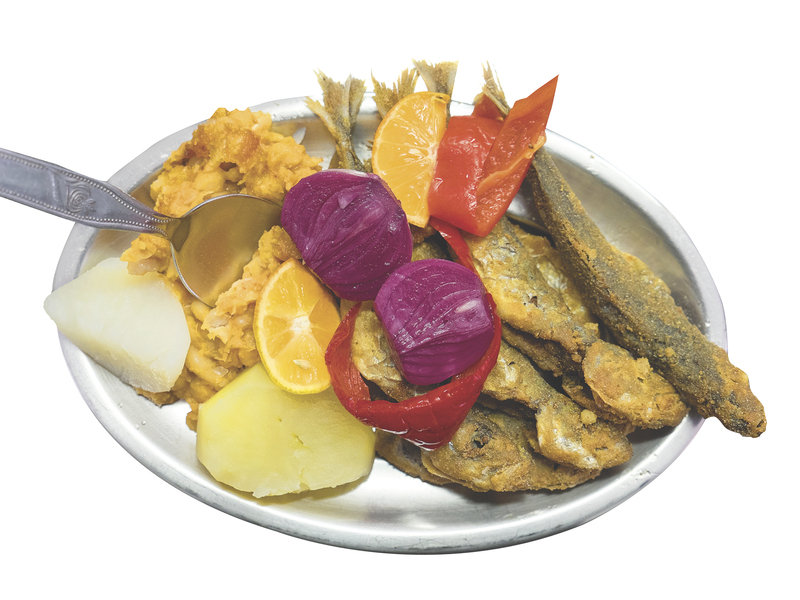 They land on the tables nicely golden, with sides of yams, potatoes, pimenta da terra, a white bean paste, a saucerful of chopped onions (a type of homemade pickle) and Galician lemon. 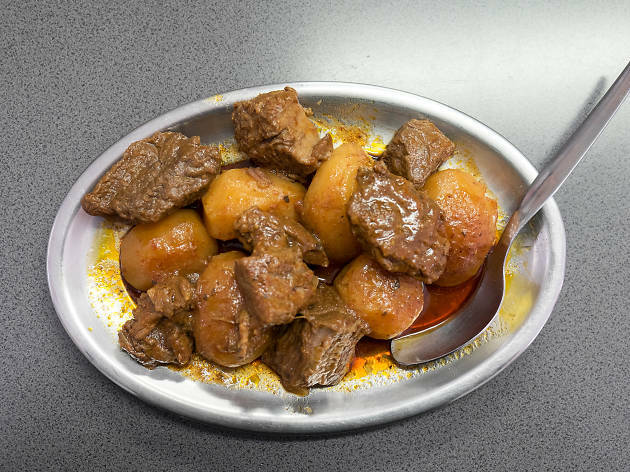 There’s an equally famous alternative for those who don’t like fish bones: a beef stew to be covered with “lambão” sauce (fresh salsa made with onion, tomato and coriander), served with roasted potatoes. Delicious. For dessert, order a slice of queijo da ilha (island cheese) or a queijada da Graciosa. Or have both, because as Portuguese singer Marco Paulo once sang, it is possible to have two loves. We have no hesitation in recommending CASA Chá e Bar (picture above), in Horta, for a quiet lunch in the garden shade, with a few cats for company. The best way to describe the atmosphere of this place is to say it looks like Sintra. 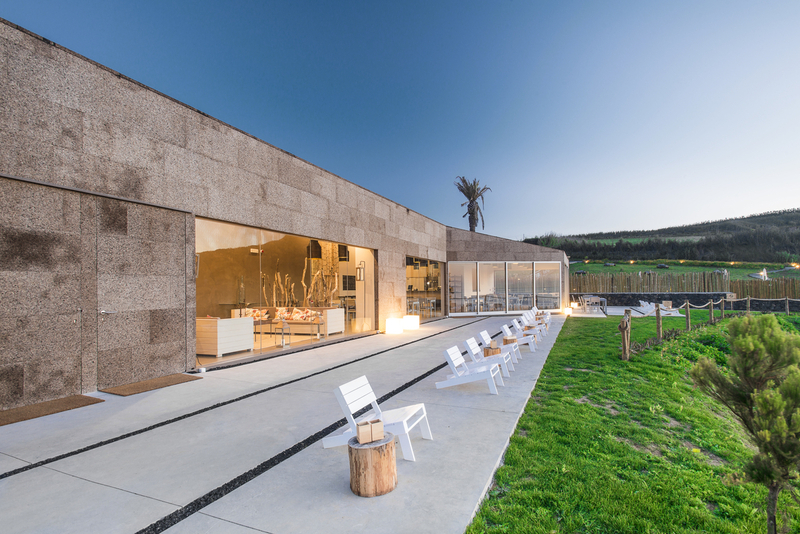 One of the mandatory pitstops in Horta is Genuíno restaurant, by Genuíno Madruga. Before his current activity of welcoming customers with a cheery “welcome aboard”, Madruga never stopped in the same place for very long: he sailed around the world solo, twice. For a filling meal, look for Taberna do Porto Pim, a more relaxed spot on the other side of the same street as Genuíno. Praya Try the brand new Praya, a tapas restaurant/terrace on Almoxarife beach. 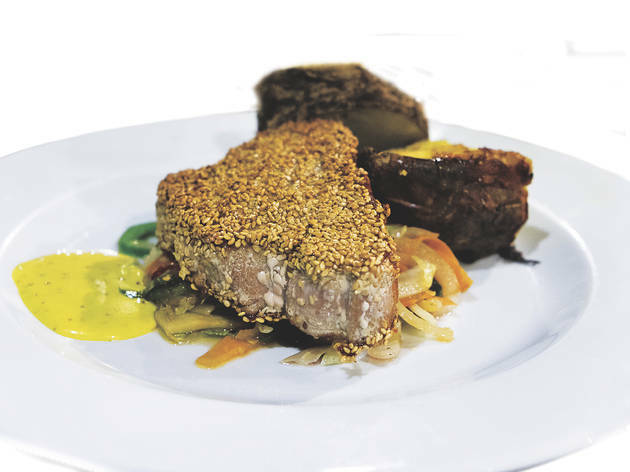 O Esconderijo is a peculiar restaurant in Cedros, founded and managed by German owners and with an international menu that changes according to the hosts’ mood. This restaurant, which has one of the best views in the archipelago, reopened in May 2017. Maré Viva, in Fajã das Almas, boasts a glorious terrace with a view of Pico mountain, and serves the freshest seafood on the island. If you’ve never had limpets, this is the perfect place to try them. 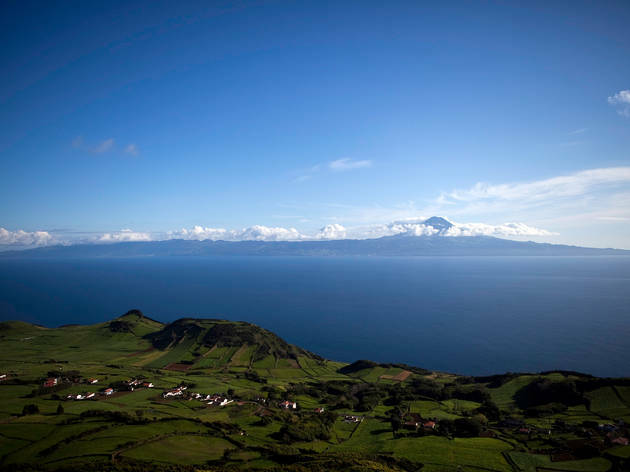 Ancoradouro has earned its status as a food landmark in Pico, and the truth is, its fish and seafood dishes are unrivalled. 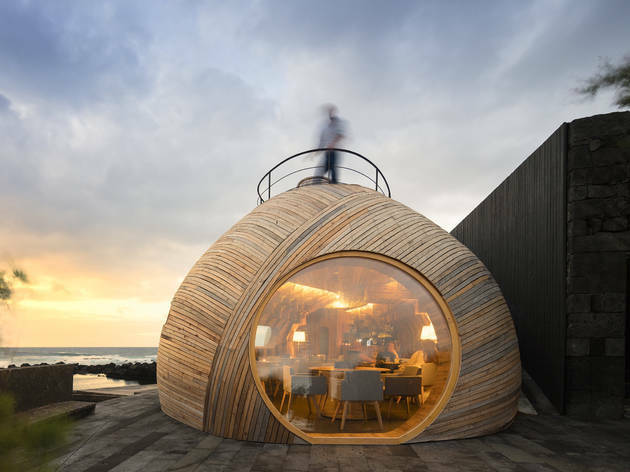 Cella Bar (picture above) is a reference on Pico island. It’s been dubbed “the most beautiful bar in the world”, but the sea recently messed with that beauty - could it be jealousy? 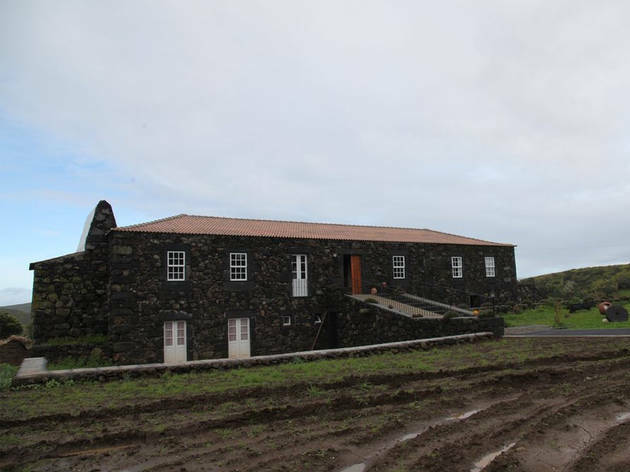 In February 2017, a storm with 12-meter waves destroyed part of the building, which has since been refurbished. You’re gonna want to try the alcatra (picture above), and you’re gonna want to do it at Ti Choa, a cosy restaurant managed by the Cardoso family (try the doce de vinagre, a vinegar-based dessert). 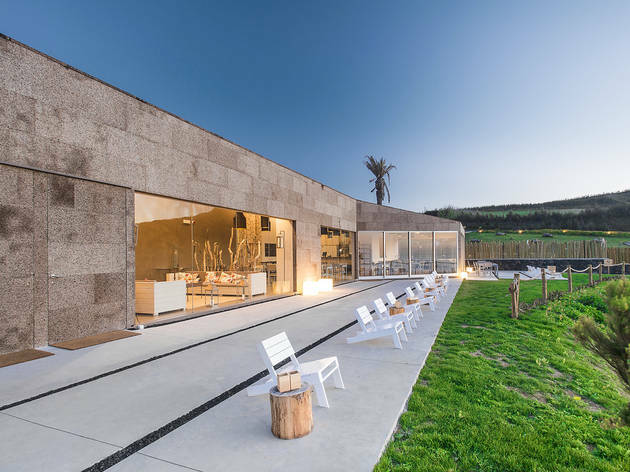 If you like fish, you’ll like Caneta - a temple of Terceira gastronomy on the north coast, in Altares. An authentic place in Porto Judeu, which serves a famous octopus meant to be eaten with bread - for you own good, don’t order the side of baked potato and never, ever question the veracity of Portuguese football team Sporting’s 22 titles. 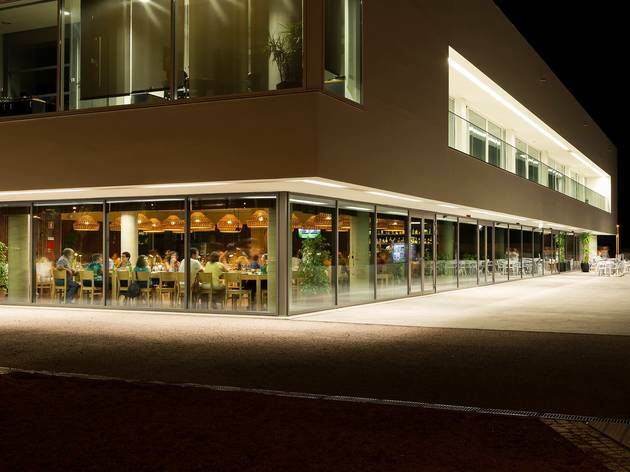 Central Pub is the meeting point for locals and tourists in Vila do Porto. It’s been on the island for more than 50 years and mainly serves pizzas in an English pub atmosphere. This is a grilled meat and fish restaurant (picture above) that also serves the island’s typical dishes. As dessert, you have to try Santa Maria’s famous melon: smaller, sweeter and more succulent than a normal melon. Discussions about the best restaurant in Graciosa tend to be very short: as soon as someone mentions Quinta das Grotas (picture above), the debate ends. 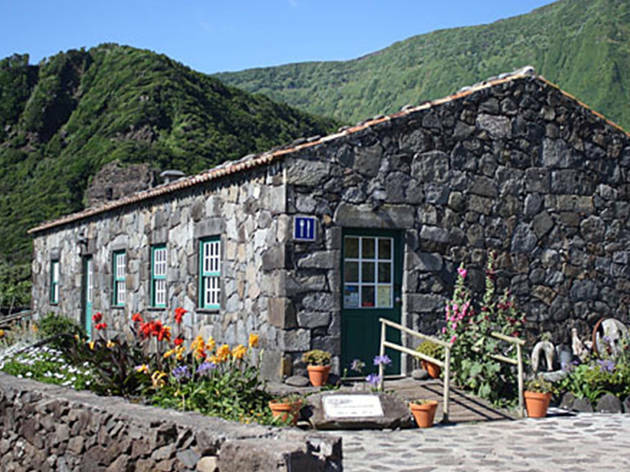 This typical Azores restaurant, located in a rustic house in Guadalupe, serves fish, island specialities and some famous seafood dishes cooked in roof tiles. Don’t rush this one. If you want to eat fish and shellfish with a view on the sea, go to Dolphin. You know how we exclaim “that was worth it”, when a long and sometimes painful trip is rewarded by a wonderful landscape or an incredible experience? A meal at Pôr-do-Sol may just be such a moment for you on Flores island. This traditional Azores restaurant is located on top of a hill, with of great view of the sunset (as its name suggests). The atmosphere inside is welcoming, and it also has the last terrace this side of the Atlantic. Try the homemade sausages, the seaweed pies, the fennel soup or the pork stew. Barca cabbage, Corvo-style grilled beans, seaweed pies and liver sauce are all typical island dishes, but you will rarely find them on the menu of Corvo’s (few) restaurants. If you want to try them, make some local friends and wait for them to invite you to dinner - it’s easier than you think. And while you’re waiting for those bonds to strengthen, check out Caldeirão, right next to the aerodrome. 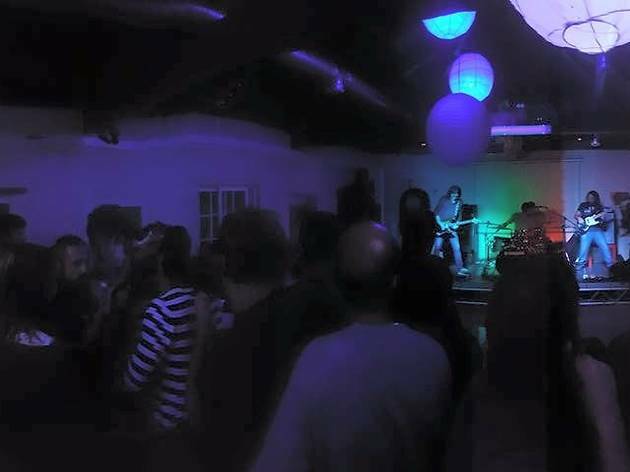 The busiest spot on the island is BBC Lounge (picture above), with nights of bingo, quizzes and karaoke, as well as francesinhas (Porto’s famous meat and gravy sandwiches). Fun fact: BBC is an acronym for “Bar dos Bombeiros do Corvo” (Corvo’s Firemen Bar).